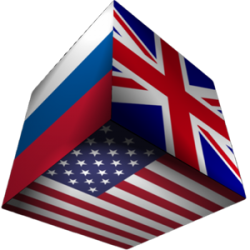 The name Rusuk is made from the initials of the countries we called home: Russia (RU), The United States (US), and The United Kingdom (UK). It also turns out that Rusuk is the name of a Hare with large ears from Russia. We are quite pleased with our name. When producing an article for the Blog, we settle on a subject and write separately. Each of us has no idea what the other two may say. We purposely don’t discuss views until after the article is written. Dean & Sergey send their parts to Roger who then proofs. After that, the article goes to Dean to be uploaded. Our hope is that this method allows each of us to give opinions unbiased by the views of the other two. Perhaps you will be able to discern differences in national attitude.